More than half of our guests are referred by our former clients who have enjoyed the Canadian Rockies tours provided by Key West Travel. 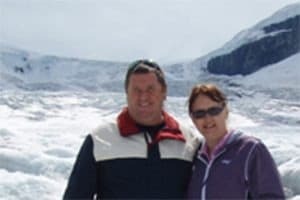 “My wife, Linda and I together with friends Gerald Curran and Mary Murphy have just returned home from the Grand Circle tour which started on 22 June. I just wanted to let you know how much we all thoroughly enjoyed the whole experience and to compliment particularly our tour director Peter Ray and our driver Vin. Peter’s knowledge and ability to convey that knowledge in such an informative, pleasant and good humored manner was nothing short of excellent. The information about all manner of things was so educational and useful. 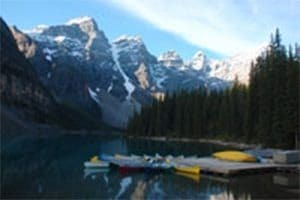 “Just a brief note to thank you and the entire Key West team for a fantastic trip around the Rockies. Our guide (Brad) was superb friendly but with an air of authority – at all times ensuring that we were getting the most from our trip. Our driver (Wes) was also excellent. 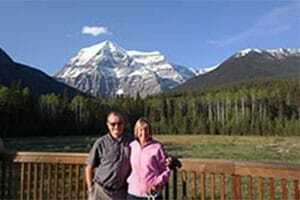 “We joined the West Coast Triangle Tour in Kamloops on the 13th of July and had a wonderful time. 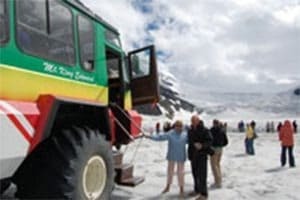 Our tour guide was a very enthusiastic, knowledgeable and patient GUIDE who shared this beautiful part of the world with us and made our first ever bus tour an easy and enjoyable experience. Our driver was a cheerful, friendly driver who showed great skill in getting us close to all the important sights including a few wild bears without causing them undue stress. We also appreciate the efforts of the other Key West Travel staff who made our booking and subsequent enquiries very easy“. 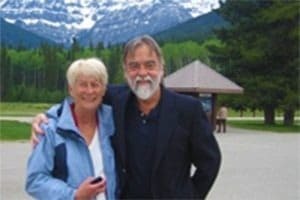 “I have taken quite a while to advise you how much Marie Frost and I enjoyed the Tour of the Rockies. The train trip was marvelous and the three day trip back to Vancouver just fantastic and made for a very pleasant trip with our tour director and the nice driver. All said thank you for your always being very ready to reply to my emails etc. through our time from when I first booked with you, also for the Accommodation. It made our whole trip to Canada to go without any worries. I did not have the opportunity to meet you in person on the day when we booked our two tours. And, I did not have the opportunity to call in to your office, but thank you again for the great service from your company“.